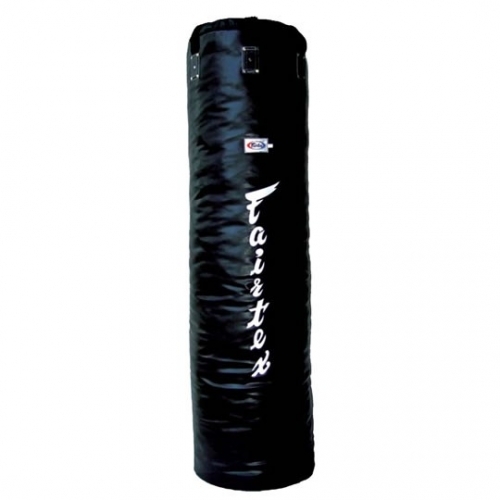 Designed for versatile use to further develop your knee and elbow techniques, power kick and punch combinations, high and low kicks, hand and foot jabs, and other drills. Constructed of Fairtex Syntek Leather with heavy duty non-tear and water resistant nylon lining. Featuring the heavy duty nylon web straps, “no more noises and no more rusty chains” with reinforced stitching an rivets at key stress points for lasting durability. Approximate weight after fill: 140 kgs. Supplied UN-FILLED only as it is impossible to deliver at the filled weight.